The town's name derives, according to some historians , from the name of the Greek god Trea-Jana. 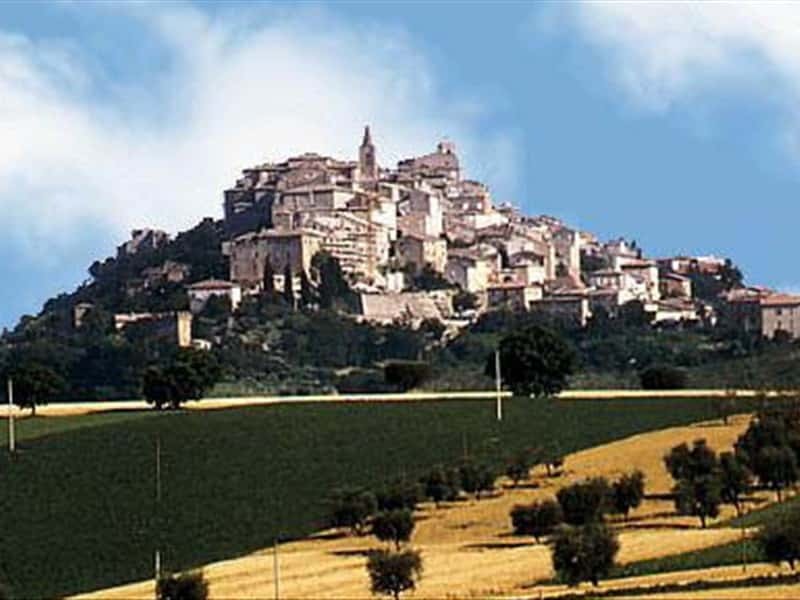 Municipality in the province of Macerata, located upstream of the Potenza Valley, the village is a beautiful centre, that breaks through between the surrounding green hills, with its ocher colored walls and elegant buildings. The first settlement was built by the Piceni in the year 380 B.C., later colonized by the Romans, it became a municipality in the II century B.C. 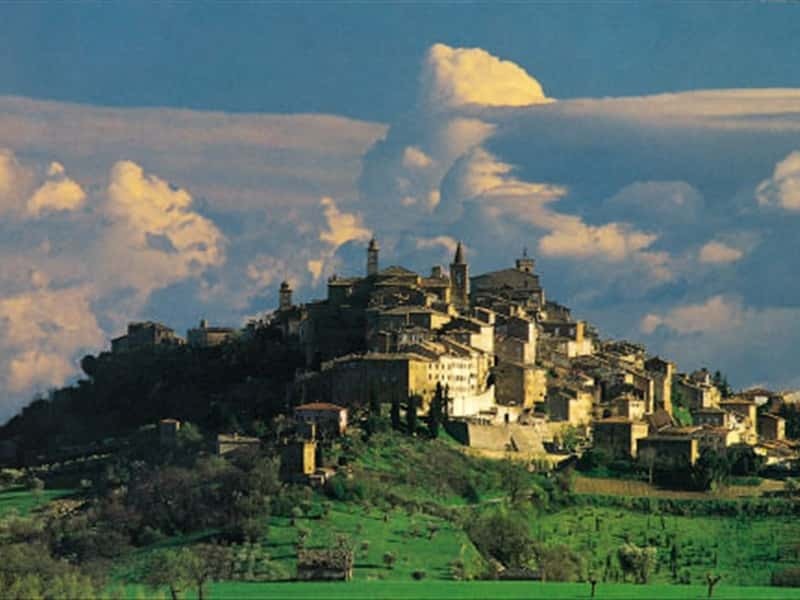 After the fall of Empire, subject to the continuous raids by the Barbarians, the inhabitants of the town were forced to seek a more easily defensible place to live, moving to higher ground: in fact, in the X century, they built a new center on a nearby hill, known with the name of Montecchio, which was fortified in the XIII century with the construction of a high walls. In the following period, the town submitted the domain of the Da Varano, of Francesco Sforza, of Alfonso of Aragon and of Cardinal Cesi. Thanks to Pope Pius VI, the village was recalled Treia and proclaimed City. - the XIII century Porta Vallesacco. This town web page has been visited 30,560 times.